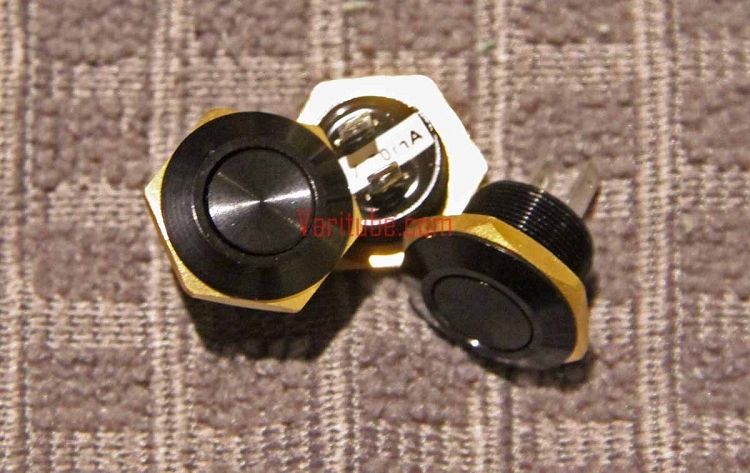 These are Authentic Mitec switches. There is at least 1 clone out there claiming to be a Mitec and selling for less than actual cost. Other clones at least are claiming Mitec-like. Don't be fooled and know what you are buying. 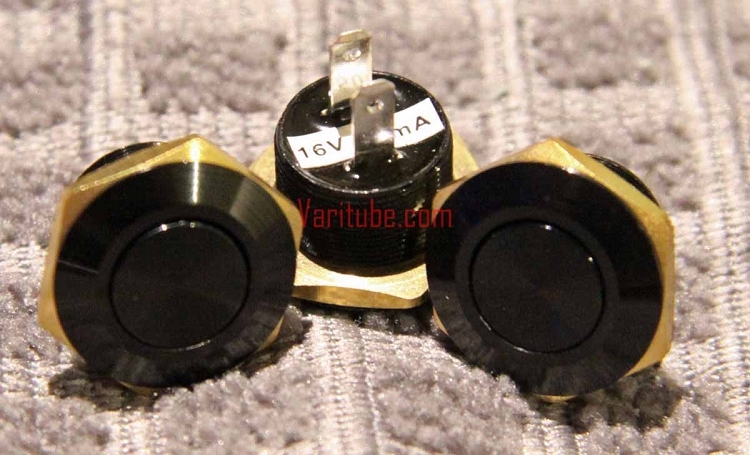 Super Low Profile 'Clicky' push button switch. Flat and flush button. Now in Aluminum body in Black - Extremely Limited Stock! Clicky and responsive. This is the Ultimate switch. Available in 12mm only and Shockingly compact. - Face plate is 1.6mm thick - thats how far out it sticks on the front of your box! - Requires a 12mm panel cut-out. One of the nicest flush mount buttons available! Compact and responsive. The shallow AND narrow mounting make it perfect for building in tight spaces. I've built dual 18350 and dual 18500 mods using these and they made all the difference when mounting and running wires. Very good quality works every time without worry. It is very low profile wich is nice for the picket, I have never had a miss fire. I have received the item mitec 12mm ,but this one was oddly not flush with outer diameter ,its sunk in and can rattle back and fourth but works fine.